Machining with mini mill, mini lathe and other small power tools and teaching you to work with metal, plastic and to guide in projects. A machinist have to know the basics of metals and plastics and their properties in order to machine them correctly and to know their pros and cons when building something. I will give a short introduction to material science in this article and describe the most basic materials as best as I can. Most of the metal material you use in your projects are actually alloys, meaning they compose of different metals melted together. This is to provide better properties than the base material itself has. For example, aluminum as such is very soft and gummy and doesn't have any strength, but if you add a small amount of magnesium in to the mix, the material will have added strength and it isn't gummy any more. This means more easily machinable material, as the material holds to cutting forces applied (think of machining rubber vs. steel) and doesn't stick to tools so easily. Different metals can be used as additives and they all function differently and provide different advantages. Alloying elements are chosen for the properties wanted. Examples of such properties could be strength, corrosion resistance, machinability, weldability, ease of anodisation, melting point, hardness and hardenability. Most of the materials properties arise from the base material and the rest is provided by the alloying elements. Usually the metal alloy consist of 70-100 % of base material and the rest is for the added alloying elements. 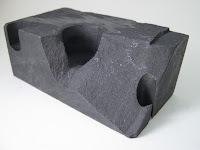 Usually the percentages for alloying elements are 0.05-2 % per element, but this again depends on the properties wanted. A rule of thumb is that if there is 5 % or over of something in a steel alloy, the resulting material can be hardened quite easily, but this is not exact. Probably the most known alloy is steel. Steel is a mixture with carbon content being between 0.05 to 1.7 % and the rest being iron. If carbon content is between 1.7 and 6.67 %, the result is cast iron. However, if you add other elements like nickel and chromium, you get stainless steel which has a better corrosion resistance than plain steel. This is due to chromium and nickel forming oxide layer on the metal which prevents further oxidation of the metal, meaning rust. For ease of machining the alloy may contain sulfur or lead. These provide "soft spots" so that when the cutting tool creates a chip, the softness allows the chip to break up very easily and the resulting chips are like flakes. These are called free machining alloys and are highly used in NC-machines where long and curly chips could block the machine operation as they will not exit through the chip conveyer. Most probably the three most often used metals in your homeshop will be aluminum, brass and steel. Aluminum is easy to machine, light weight, quite cheap and provides good starting point for learning to use your machine. 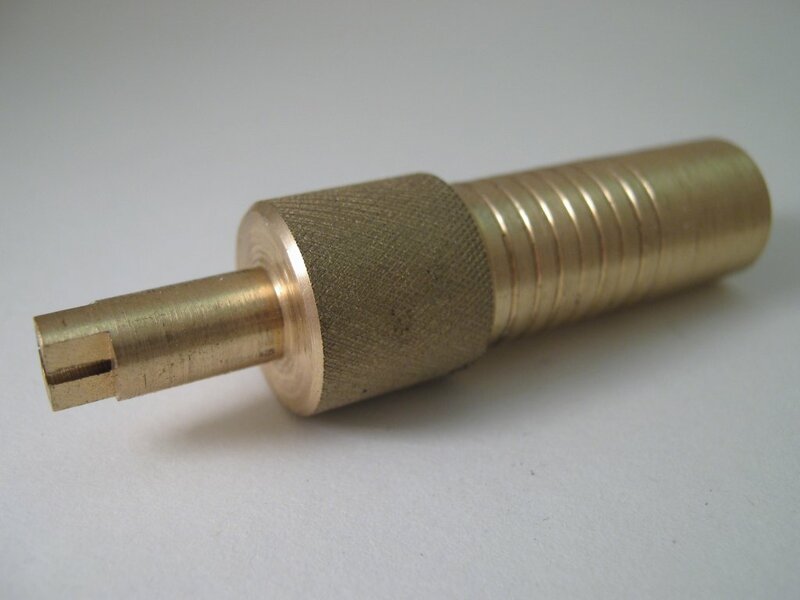 Brass is quite heavy, quite expensive but it is very easy to machine, it gives very nice flakey chips but also very pointy sticks and provides an attractive look and finish to your projects. Steel is a little harder to work with unless it is free machining steel, as it is very tough to machine with mini machines capabilities and it tends to form long curly chips. However, when you need that extra strength, go for steel. Aluminum is probably the most machinist friendly material to start with, as it is easy to machine and doesn't cost that much. It has a density of 2700 kg/m³ so it is about a third of the density of steel and a melting point of about 660 degrees Celsius. Cost is about 2-20 EUR per kg, depending of the exact alloy wanted and if it is from a scrap pile or not. Aluminum is perfect for anodisation, although some alloys do not anodise well at all. Welding aluminum is quite difficult, but can be done with the proper machines and skill. Aluminum coldwelds to tools easily, so use plenty of coolant like isopropanol or some other alcohol, but due consider that the vapors are extremely flammable. The coldwelding can be seen on cutting edges as a silvery color or as a piece of aluminum sticking to it. 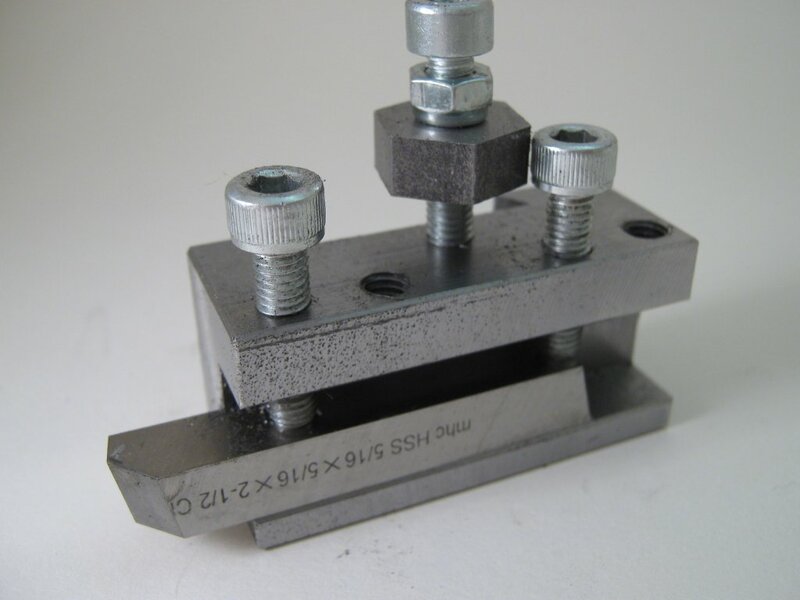 This can sometimes provide uneven surface quality, as a piece of aluminum blocks the cutting edge and literally pushes (shears) the material ahead instead of the tool cutting it. Brass is another easy metal to work with as it forms short chips and cuts with just about any sort of tool. It is an alloy of copper and zinc, but the most often used machinable brass includes also lead about 3 %. The downside is the huge price. Brass will not rust, but it will tarnish. Rubbing with a cloth shines it up nicely and freshly machined surfaces have a nice gold like appearance. 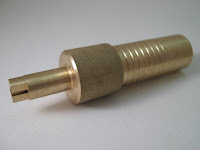 Brass is quite soft, so it can be used to make a brass hammer that is nice when in need of assembling a tight fitting steel part or when a plastic hammer won't do it. Cast iron has a high carbon content and flakey structure which makes it very suitable for machine parts, as the structure dampens vibrations and provides a good sliding surface. Very often model engine makers use this for their pistons and/or cylinders due to these properties. Cast iron is very easy to machine and leaves a nice surface finish. Steel is a little bit tricky to work with these small machines due to low powers available, but still doable. Steel provides a harder material for your projects than aluminum or brass, but it is also quite heavy, 7860 kg/m³. Steels melting temperature depends mostly on the carbon content, but it is minimum 1130 degrees Celsius. The cost is usually under 1 EUR per kilo when bought as scrap metal and even as new it doesn't cost that much if it isn't stainless or tool steel. If possible, I would advice you to find free machining steel, meaning for example leaded steel as this type of steel machines easily and leaves a nice surface finish. Stainless steel is literally hard to work with small machines due to power issues, but leaves a nice surface finish. Stainless has such a high alloy percentages (10-20%) that it work hardens very easily. In machining, the cutting tool removes a layer but the heat generated may harden the just cut surface, making it very hard to penetrate. High speed steel bits will not go through that layer easily, so the best option is to have lots of power and use plenty of coolant. A good sign of hardening is when a drill bit starts to squeek very hard and the drilling action stops, the drill bit gets dull fast and might also snap. Stainless steel can be identified from 'normal' steel with a small magnet, as stainless is non-magnetic. Tool steels are steels that have quite high carbon content and added alloying elements such as vanadium, molybdenum, chromium, tungsten and lots of others. Tool steel is what it says on the tin, it is usually used to make tools as it can be hardened easily and is usually sold as ground to certain tolerance. Silver steel is one example of low cost tool steel, although the price for tool steel is not that low. The most 'known' tool steel is high speed steel (abbreviated HSS) which is used extensively in drill bits and lathe tools. Usually tool steels are sold in annealed form, meaning they are heat treated to be soft so they are easier to machine and thus they have to be hardened and tempered to achieve the hardness wanted. Although tool steels are tougher to machine, they almost always produce a very nice surface finish no matter what you do. Plastics, like PMMA (a.k.a. acrylic), ABS, PTFE (a.k.a. 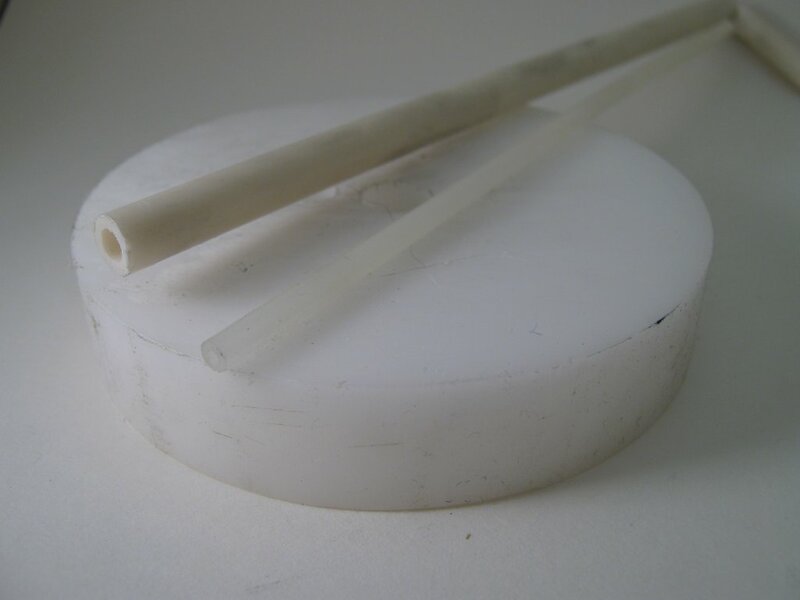 Teflon), nylon and lots of other are a nice alternative for metals when making a prototype, training to use the machines or when the project requires lightweight parts or electrically non-conductive material. Plastic is nice to work with as it is soft and machines easily, but the downside is that you need sharp tools and low speeds to cut plastic or otherwise the heat generated just melts the plastic, leaving rough and ugly surface. Cutting tools heat up very quickly when machining plastic, as plastics are more like insulation than heat absorbers, so almost all of the cutting action induced heat will end up in the tool bit. Some plastics like acrylic are prone to crack easily when for example drilling a hole and the drill bit is just going through the workpiece. This means that you have to be quite careful with your feed pressure. Plastics have the nice property of being very light and some plastics like PTFE and POM (a.k.a. Delrin) have self-lubricating properties which makes them very useful as for example light duty bearings. POM also is very engineer friendly material, as it holds tolerance well, is quite tough and withstands lots of chemicals. Copper is nasty stuff to machine as it is very gummy and soft like pure aluminum, but with a sharp tool and lots of lubricant (coolant) it produces a very nice and shiny surface finish. Copper is work hardening metal, but can be softened again by annealing. Usually the copper comes in annealed form. 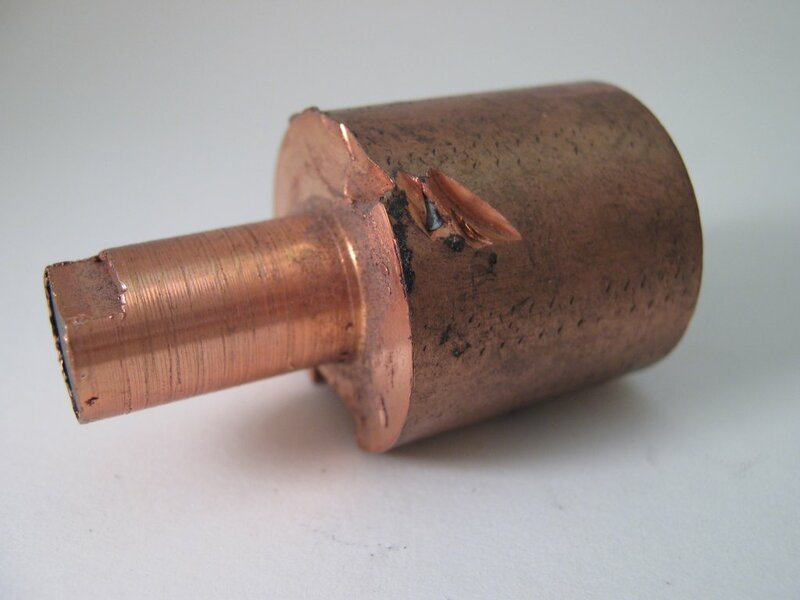 If your project needs a good electrical conductor or heat capacity or the like, use copper. 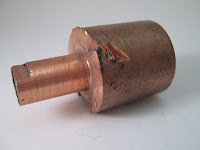 Or if you are doing EDM work, copper is the most basic electrode material and holds very well in that process. 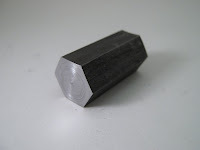 Graphite is really easy to machine but it dulls the tools quite fast and of course it is brittle. 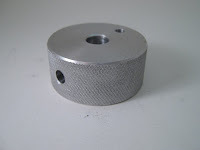 There will be nothing but dust generated from machining it, so have a vacuum cleaner near the cutter on full suction to keep the level of free dust to a minimum and clean the machine very well afterwards. 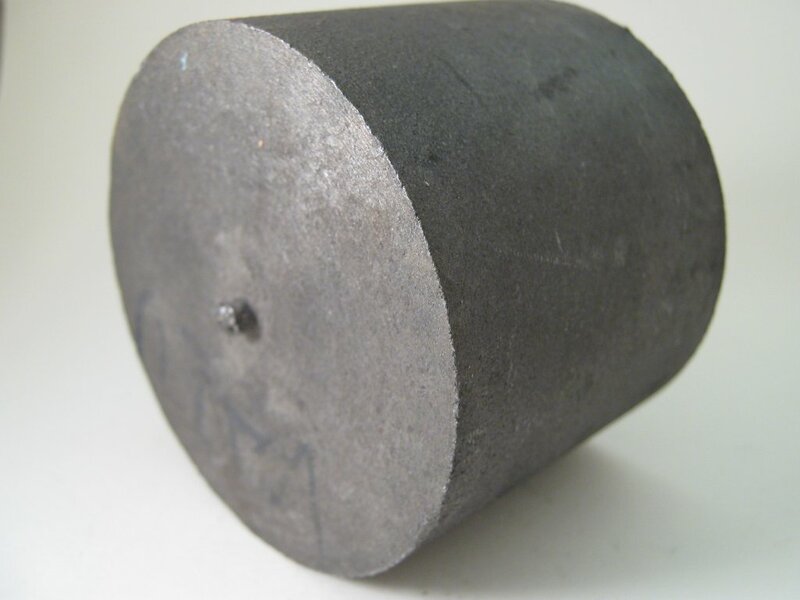 Graphite conducts electricity very well and is used in EDM as electrode material. Price depends on the particle size and is quantified usually per litre and is expensive, unless you get it from a tool & die makers scrap pile. Nice blog posted here. Precision drawell is one of the leading steel fiber in flooring company. For more you can contact Precision Drawell. Hi and greetings from New Zealand. Thanks for an excellent article. I work as a fitter welder but have an interest in hobbyist machining at home. In fact air compressor is a wonderful tool or spare part of electronics. It is an essential component of cooling system as well. It is dire need to have a basic information and knowledge about the types of compressor for the right selection.